It’s hard to keep all the facts straight when you’re a visitor in a foreign land. Many people who come to Japan to see the sights and take in new experiences can sometimes be led astray. 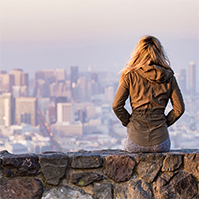 By not having the correct information, it’s difficult to know where to go and what to do. One of the biggest misconceptions foreigners have when traveling to Japan is whether or not they’re visiting a shrine or a temple. 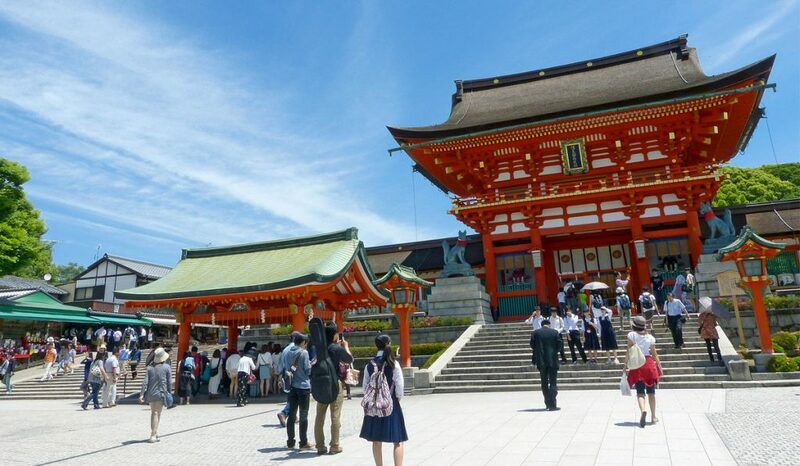 In this article, we’ll take a look at the differences between shrines and temples in Japan. 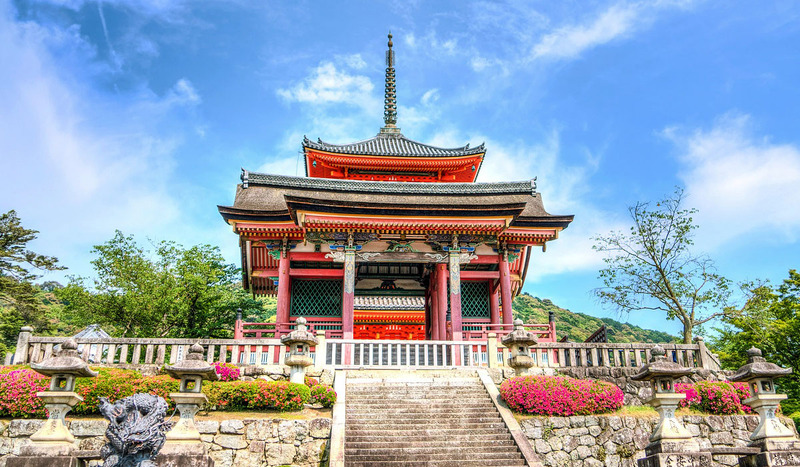 We’ll also go over how you can identify the differences between shrines and temples to have a more enriching, spiritual experience during your time in Japan. 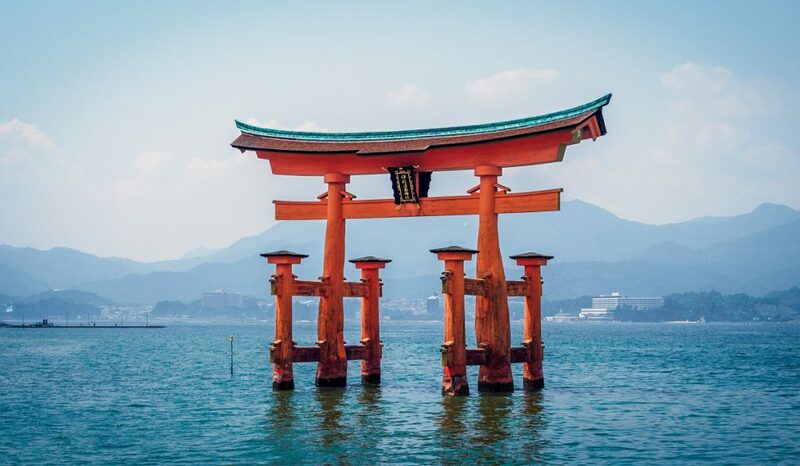 Japanese shrines are called Shinto shrines because they follow the Shinto religion. This religion is a spiritual religion based on the belief that gods – called kami – can be found both on earth and in heaven. The Shinto religion is based on the principal of following “the way of the gods”. Those who originally followed this religion built shrines dedicated to the gods that they found on earth, and were used to pray to said gods. Shrines can be identified easily by the fact that there are large gates before the entrance called torii. There are more than a dozen variations of shrine gates that are used, as they vary in shape, color, and material that they are built with. Shrines will also have guardian animals that are placed before the front of the shrine. Their main purpose is to keep out demons from the sacred area and allow those who enter to pray to the gods safely. Those that follow the Shinto religion believe that the gods reside in all things, but that they are especially powerful when dwelling within mountains, forests, and out-of-the-ordinary trees or rocks that look unusual. It’s not uncommon to see a thick rope – called a shinmenawa wrapped around rocks or trees to signify their importance and spiritual strength. Mirrors are also sometimes an object of worship, and can be found in shrines as well. 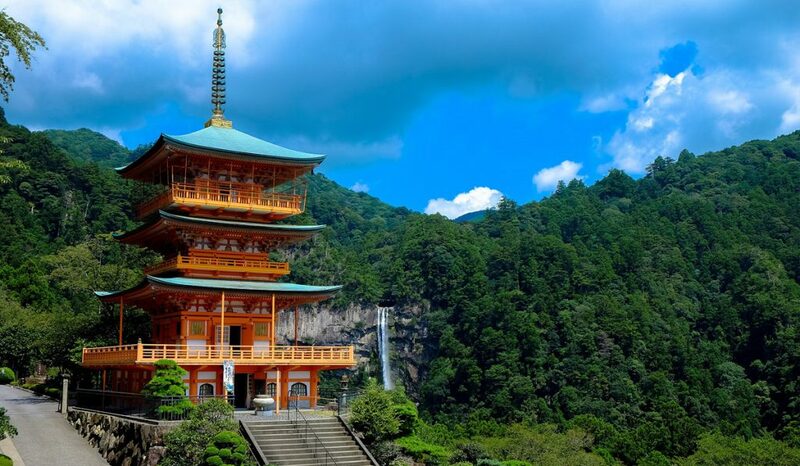 Japanese temples are places of worship for the Buddhist religion. As such, there are generally pagodas and statues of Buddha inside that are used for worship. You can usually detect a whiff of incense being burned both inside and around the temple, and can often see Buddhist pilgrims with hats, walking sticks, and bells moving about. Since the temple is dedicated to the worship of Buddha, you can be sure that there will always be at least one image or statue of the famous sage. Temple entrances are identified by the fact that they have a large gate called a sanmon. The gate has a unique look, as it has three openings that represent the three aspects that those training to become Buddhists have to achieve in order to become enlightened: emptiness, formlessness, and no-action. There are also usually nio or kongourikishi, which are fear-inducing statues of deities, that sit on either side of a gate. Their terrifying appearance is meant to keep enemies away from the temple. A temple can also function as a monastery. Though there is no gathering of religious masses within the temple, small groups of limited participants can use specific buildings for certain rites. Buddhist temples are not just a place for prayer and worship; they also house sacred objects which are kept away from the public in a safe, confined area. It’s not uncommon to find a shrine within a temple, or a temple within a shrine. There are very obvious similarities between the two, and as such people can often get one confused with another quite easily. Both have similar architecture, entrances, functions, and ceremonial importance. Since shrines and temples in Japan have strikingly similar histories, it’s not too hard to understand why they can be so easily mistaken for one another. Both shrines and temples have obvious entryways with purification areas that are to be used before entering the area. They both utilize guardians who are said to protect the area, and both shrines and temples are meant to be sacred, spiritual places of worship and prayer. You can use either a shrine or temple in Japan to have your fortune told to you. You can also use either to pray for friendship, love, happiness, good business, good grades, or good health. 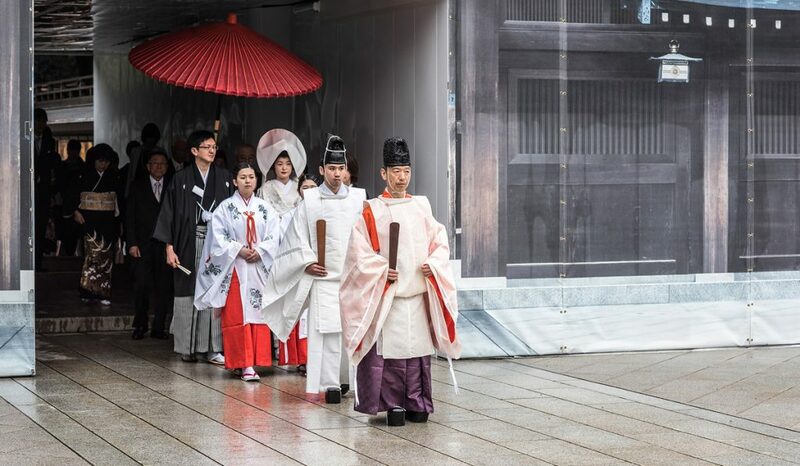 Due to the fact that the Shinto religion and Buddhism have been syncretized in Japan, they do not have any sort of wars waged between them, and welcome guests no matter what their religious beliefs may be. In fact, most people prefer to practice both faiths, which luckily there are no restrictions on. Both shrines and temples are also the hosting grounds for many of the Japanese festivals that take place throughout the year. 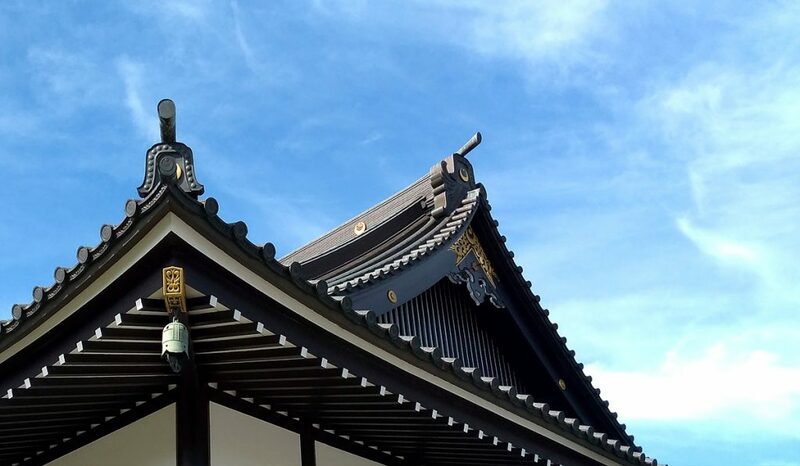 The differences between shrines and temples in Japan may seem slight at first, but there are many easy to recognize distinctions between the two. For starters, shrines and temples in Japan are made for worshipping different things, and as such can also be used for different spiritual reasons. Shrines, which are seen as places of worship for earthly matters and appreciating nature, are more often the hosts of weddings and prayer for a happy life or successful business. Temples – where spiritual matters reign supreme – are used for funerals or communing with ancestors or lost loved ones. 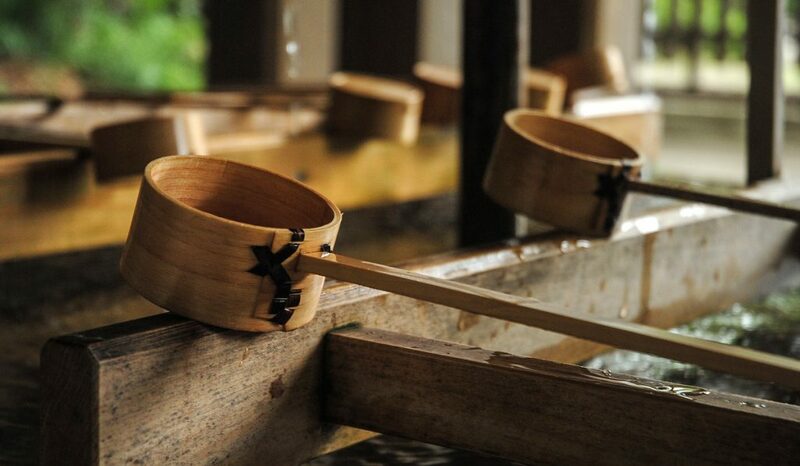 Generally before entering a Shrine, you are meant to purify yourself using a trough of water near the front gate. Before entering a temple, you cleanse your body and soul with incense. Shrines and temples in Japan can also be identified by the different suffixes used in their names. 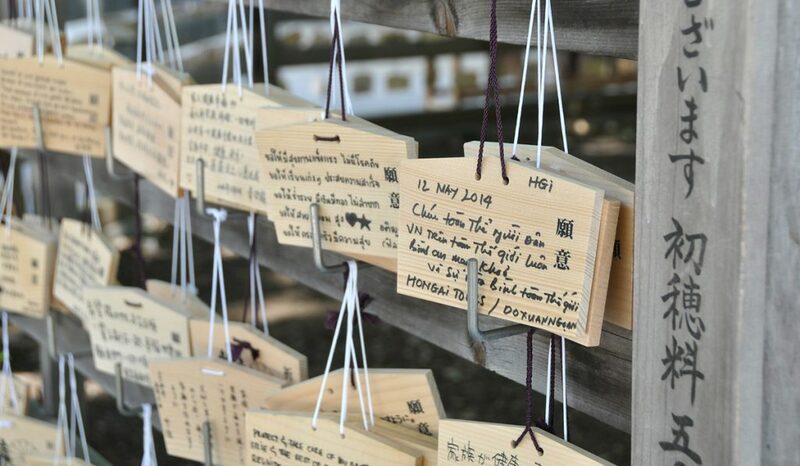 The name for a shrine in Japanese will generally end with the suffix jingu, although the suffixes jinja and taisha can also be used. Temples will bear the suffix ji, though dera and in are also seen commonly. 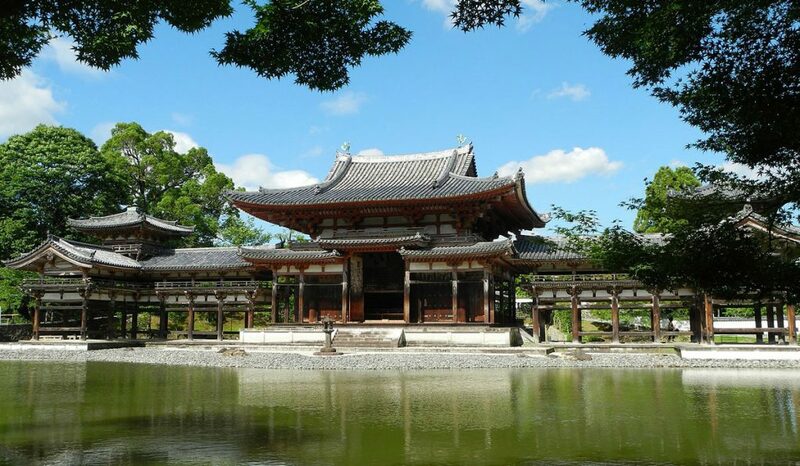 Along with their names and purposes, shrines and temples have a sizable gap in history, as shrines were around long before Buddhist temples existed in Japan. 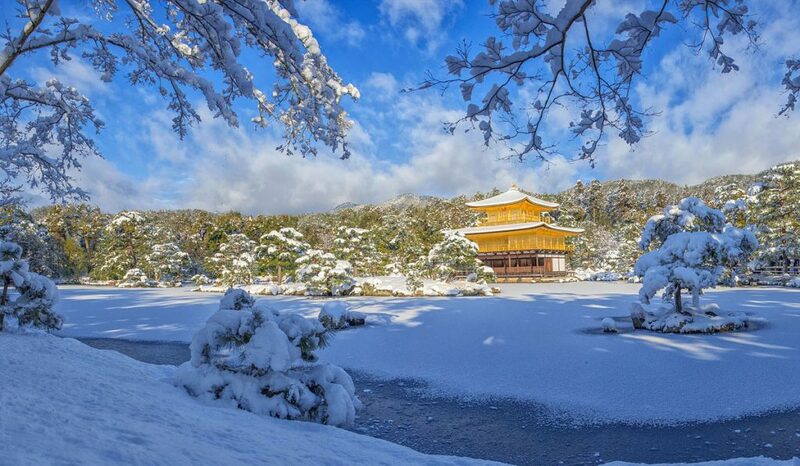 Only with the introduction of Buddhism in Japan during the 6th century did the two places of worship begin to intermingle and start to adopt similarities. With the shibutsu bunri law of 1868 that separated the gods and Buddhas, many jinguji, or shrine temples, were dismantled or destroyed. Thus, the clear and definable distinctions between the two was created, and has remained since. The biggest, easily identifiable differences between shrines and temples in Japan are simply: who or what is at the center of the worshipping, the types of entryways and purification rituals, gate guardians, relics and statues, and the suffix used in the Japanese name for identification purposes. Shinto shrines worship the gods, use torii and water purification, have animal guardians, highlight nature, and use the suffix jingu. Buddhist temples worship Buddha, use sanmon and incense purification, have nio and kongourikishi guardians, display images or statues of Buddha, and use the suffix ji. Whether you’re visiting a shrine or temple in Japan, be sure to take plenty of pictures and enjoy yourself to the fullest! Now you know the difference between a temple and a shrine, also learn how to bow properly: How Do You Properly Bow in Japan? 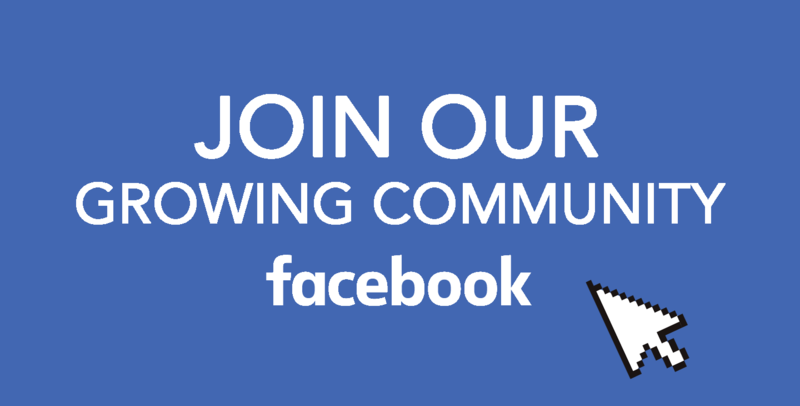 If you haven’t yet, join our Facebook group and share Your Japan with us. Be sure to follow us on Facebook, Instagram, and Pinterest.